Property 5: Large unit with Beautiful Large Patio, Quiet, Private, and Right Downtown! Property 7: Great affordable 2 bedroom suite. 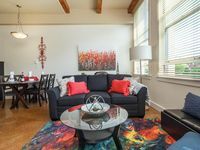 Property 8: Gorgeous Old Town Condo with Patio and Parking! Property 13: Seaside Escape: Enjoy your stay while relaxing in your water view suite. Property 14: Stunning Ocean and Mountain Views! Urban Oasis: Urban adventure with the comforts of home! Property 18: Urban Oasis: Urban adventure with the comforts of home! Property 23: Come be a part of history!! JUST LISTED, GORGEOUS, sleeps 4, air conditioning,laundry, dishwasher, and more! Property 40: JUST LISTED, GORGEOUS, sleeps 4, air conditioning,laundry, dishwasher, and more! New1 BRD absolutely unique, located in the heart of Victoria; parking inc.
Property 50: New1 BRD absolutely unique, located in the heart of Victoria; parking inc.
Great condo w/ best location! My 5+ week stay at Heritage Haven was absolutely great! 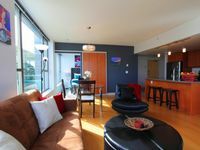 The condo was well equipped with everything I needed and the downtown location was only steps aways from restaurants, shopping, and all of Victoria's attractions. The bed was comfy and the shower had good pressure. One little annoyance was the lack of a shelf in the bathroom to put one's toiletries. Highly recommended! !